That breezy sound of the British rock scene in the early 90s was a joy to hear. The likes of Dodgy and Squeeze brought happy, care-free, almost summertime music with their clinking guitars and chimed choruses. What a delight, then, to find a time capsule such as this that takes us back to a great period for music that grew into Brit Pop and gave us anthems like Staying Out For The Summer to dance around to drunkenly. 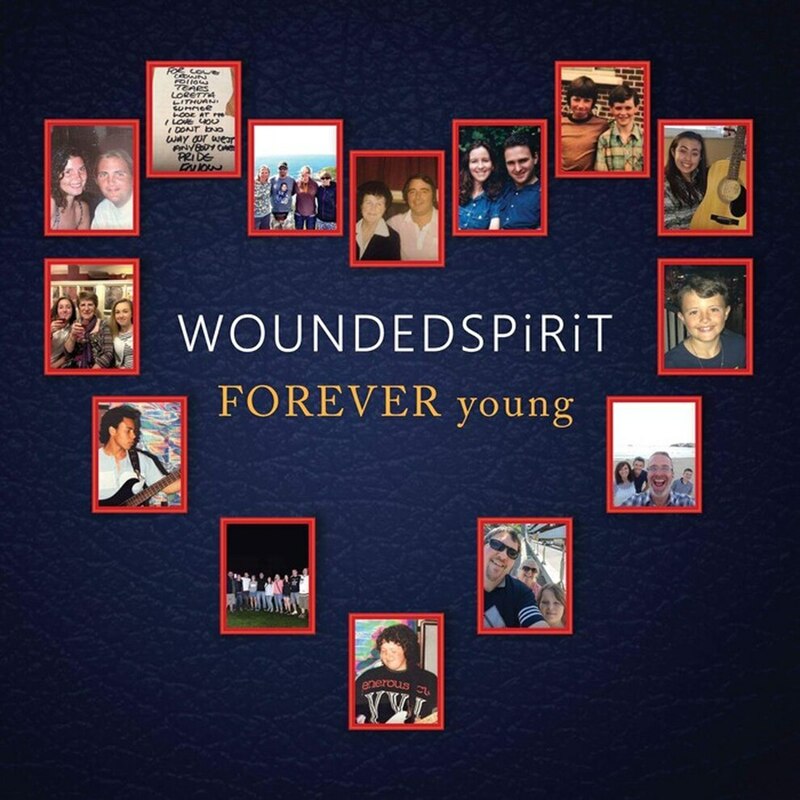 WOUNDEDSPiRiT are a West Bromwich group that have been around the block themselves, with nearly 30 years' experience behind them. So they have seen fads and styles come and go, musical dynasties rise and fall, and can cherry pick what worked and what didn't in all their years of album collecting - such as their cover here of Alphaville's Forever Young. The likenesses here on their debut full-length range from the those listed above to New Order, Primal Scream and Blur. And those airy vocals of frontman Jason Kelly could even be from the voice box of Bernard Sumner himself at times. Their latest single, 11months3weeks6days, is a brilliant track - the record's highlight. Easy to sing along to, it keeps the pace up nicely and the chorus will provide a mammoth sing-along in a live setting. Albion fans will enjoy this one too - the video was filmed at the Hawthorns itself, such is their affinity with the town. The New Order vibes are flowing throughout the more digital approach to 10000 Shades Of Blue. The chorus comes complete with some key-plucked wizardry from Debbie Partridge and the darker undertones wrestle nicely with what's going on at the forefront. And then there is closer She. Like a deliberately brooding Whales In Cubicles number it builds in tension and emotion into a pained and emotive outro where the guitars of Steve 'Biggsy' Biggs are allowed to croon. The band work as a collective. They obviously have a long-running friendship that comes through in the music. It doesn't feel dated in any way, and is well worthwhile seeking out and hearing. WOUNDEDSPiRiT have a busy 2018 lined up. 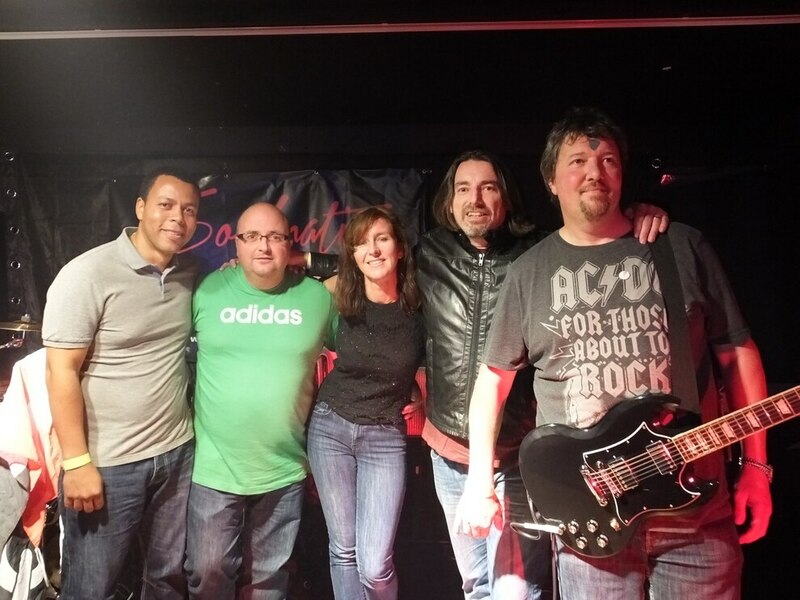 On March 17 they launch their record with a party at Bilston's Robin 2 before two shows on March 31 - firstly at the AlbionFanzone before the Baggies' game with Burnley, before that evening playing Ye Olde Crown Inn in Stourport. on May 20 they perform at Stourbridge's River Rooms and again at the Station Inn, Hagley, on June 9. On August 4 they are on the line-up for Clivestock in Stourport, and then support Big Country at the Robin 2 on September 21.